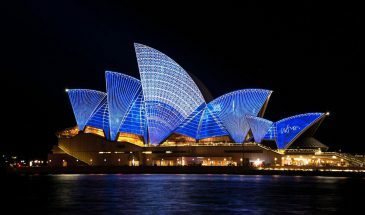 Officially the Commonwealth of Australia, is a sovereign country comprising the mainland of the Australian continent, the island of Tasmania and numerous smaller islands. It is the largest country in Oceania and the world’s sixth-largest country by total area. The neighbouring countries are Papua New Guinea, Indonesia and East Timor to the north; the Solomon Islands and Vanuatu to the north-east; and New Zealand to the south-east. 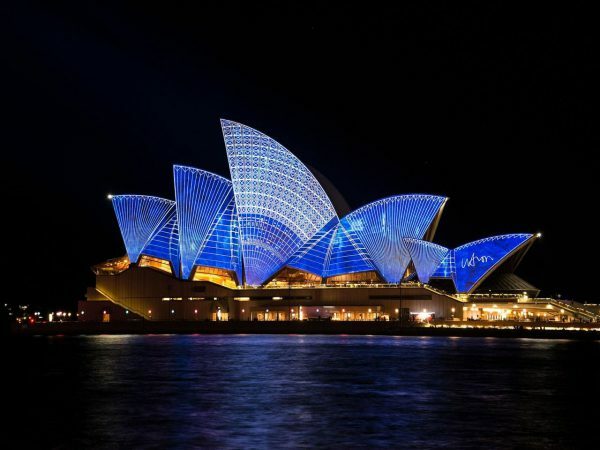 Australia’s capital is Canberra, and its largest city is Sydney. Arrive Sydney. Transfers to the hotel. Overnight at hotel. Breakfast at hotel. An AAT Kings coach will pick you up from your hotel to commence a full day tour to the Blue Mountains. Enjoy a stop at Echo Point and see the famous three Sisters rock formation, with the opportunity to visit the Waradah Aboriginal Centre to hear the ancient Aboriginal legends of this impressive formation (own expense). Arrive at Scenic World and join the optional Blue Mountains rides - Scenic Railway, Cableway or Skyway (own expense). These rides are a great way to see the steep valleys, canyons and Three Sisters rock formation. Arrive at Leura village for lunch (own expense) then enjoy some free time to wander the streets of Leura, with its delightful blend of groomed gardens and quaint shops. Next enjoy an afternoon encounter at Featherdale Wildlife Park and have your photo taken with a cuddly koala, see kangaroos, wombats, dingoes and little fairy penguins. Travel back to Sydney. Tour concludes at approximately 5.45pm, at which time hotel drop offs will commence. Breakfast at hotel. An AAT Kings coach will pick you up from your hotel to commence a morning Magical Manly and Beyond tour. Travel to Manly Beach for a stroll along The Corso to see the beach that has made Manly famous. Along the way to Manly view Darling Harbour and then cross the Sydney Harbour Bridge stopping at Milsons Point for spectacular views of the Opera House and Harbour Bridge. Stop at a lookout for panoramic views of the Pacific Ocean. Enjoy time at Manly beach before heading back to Sydney via the exclusive and trendy suburbs of Neutral Bay and Mosman. Tour concludes at approximately 11.45am at Circular Quay. (An earlier drop off at King Street Wharf may also be possible - please check with your driver on the day). Breakfast at hotel. Transfers to the airport for the flight to Cairns. Arrive Cairns and transfers to the hotel. Breakfast at hotel. Cruise to Green Island in comfort aboard a modern air-conditioned catamaran. Tropical and enchanting Green Island is an idyllic coral cay on Australia’s Great Barrier Reef where you spend time viewing the coral reef and fish life, relaxing on the white sandy beach and exploring the walking tracks that lead through the National Park. A range of optional extras are available such as scuba diving, helmet diving, boat snorkel tours, or the hire of canoes and beach lounge chairs. - Koala and Wildlife Park. - Amphibious Army Duck tour of the rainforest. A Tropic Wings coach will pick you up from your hotel to commence a full day Kuranda Rainforestation with Skyrail tour. Travel to Kuranda Village by coach via the scenic Kuranda Range. Arrive at Rainforestation Nature Park for a performance by the Pamagirri Aboriginal Dance Troupe and the Dreamtime Walk including boomerang throwing, spear throwing and didgeridoo playing. Tour through the rainforest in an amphibious Army Duck and visit the Tropical Fruit Orchard. Visit the Koala and Wildlife Park to have your photo taken with a koala (own expense), hand feed kangaroos and view the awesome crocodiles. Arrive at Kuranda Village for a small amount of time to wander through the many shops and local markets which offer a range of local handicrafts and souvenirs. Board Skyrail Rainforest Cableway and glide above the rainforest canopy for the journey back to Cairns, to the Smithfield Terminal with stops along the way at Red Peak Station and Barron Falls Station. Tour concludes at approximately 5.30pm, at which time hotel drop offs will commence. Breakfast at hotel. Transfers to the airport for the flight to Melbourne. Arrive Melbourne and transfers to the hotel. Breakfast at hotel. An AAT Kings coach will pick you up from your hotel for your transfer to the corner of Flinders and Russell Street at Federation Square, the departure point of your tour. At 1.15pm join your coach to commence your afternoon and evening Phillip Island Tour. Journey south-east and visit Maru Koala and Animal Park which has a large number of exhibits including koalas, kangaroos, wallabies, Tasmanian devils, emus and native Australian birds. View spectacular coastal scenery at the Nobbies, two rocky outcrops abundant in marine life. From the walkways you may be able to catch a glimpse of Australia's largest population of fur seals living along the coastline. Browse through the Phillip Island Visitors Information Centre and learn about the little penguins and life on this island. Watch as the Little Penguins battle the surf and make their way to their dune burrows and learn of the environmental and conservation methods that are initiated to ensure that the wildlife and vulnerable geology of Phillip Island remains protected. See the Little Penguins up close as they return to their nests to greet their young families and view the powerful southern coastline with its clean, sandy beaches and rocky shores. Stop in Cowes for dinner (own expense) before commencing the return journey to Melbourne. Tour concludes at approximately 10.30pm (April to September) or 11.30pm (October to March), at which time hotel drop offs will commence. Breakfast at hotel. An AAT Kings coach will pick you up from your hotel for your transfer to the corner of Flinders and Russell Street at Federation Square, the departure point of your tour. At 8.00 am join your coach to commence a full day tour to the Great Ocean Road. View the popular coastal township of Lorne, a surfer's haven, and see many fern filled gullies and river inlets on your journey. Stop for lunch at Apollo Bay (own expense). Travel the length of the Great Ocean Road passing towering limestone cliffs, sweeping white beaches and stunning forest scenery. Witness a fabulous spectacle of massive natural erosion. View the amazing Twelve Apostles - limestone stacks rising dramatically from the Southern Ocean and visit the Information Centre. Walk along the boardwalk enjoying the scenery from various viewing platforms. See Loch Ard Gorge and be swept away by the romantic and tragic story of love and lives lost aboard the Loch Ard. Explore Port Campbell National Park and discover the tragic history of over 50 ships wrecked along the rugged coastline. Continue beyond Port Campbell to the remnants of London Bridge before commencing the return journey to Melbourne. Tour concludes at approximately 8.00pm, at which time hotel drop offs will commence. After breakfast check out and transfer to airport for your return flight. Items of personal nature like Laundry, Mini Bar, Porterage, Mineral Water, excess baggage, itinerary changes etc. Any changes in the statutory taxes or rates after booking.